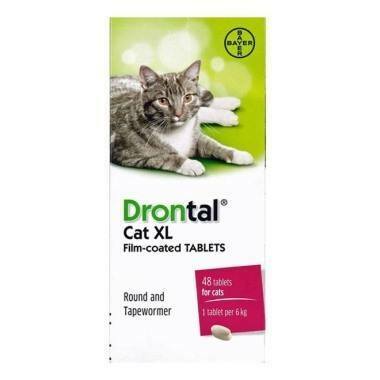 Drontal Cat XL Tablets are used to treat against gastrointestinal worms. Drontal Cat XL Tablets are effective against both roundworms & tapeworms. Give one tablet per 6kg of bodyweight. Warnings & Contraindications- Do not give to kittens who are less than 6 weeks old. Pregnancy & Lactation- Safe to use during lactation, but do not use during pregnancy.